The Emancipation Proclamation freed slaves in the Confederate States in 1863. After the Proclamation, the American Civil War becomes more about the struggle for freedom. In turn, Emancipation becomes law for the entire United States via the 13th Amendment to the US Constitution. The priceless handwritten draft is now stored in in a sealed case with monitoring instrumentation. According to an article posted on the NIST website (https://www.nist.gov/news-events/news/2017/04/making-airtight-case-freedom ), the system tracks pressure, temperature, relative humidity, and oxygen content. The NIST article also says that the system uses 4% oxygen to help maintain the color of the iron gall ink. 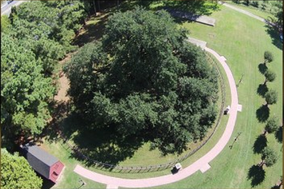 Now, another interesting thing we can celebrate about the Emancipation Proclamation is the famous Emancipation Oak. Located on the campus of Hampton University, in Hampton Virginia. Note that Hampton is also the home of Teledyne Hastings. The Emancipation Oak was the site of the first reading of the Proclamation in the South according to the Hampton University Website (http://www.hamptonu.edu/about/emancipation_oak.cfm ). The tree has a diameter of over 100 feet and the oak has been designated as one of the 10 Great Trees of the World by the National Geographic Society.